Strategic omnichannel marketing creates a seamless brand experience by using in-store, mobile and desktop channels to engage customers and nurture them along their buying journey. In 2018, it’s a method that’s crucial to customer acquisition and loyalty. And the backbone of a strong omnichannel marketing strategy is your website. It’s no surprise that having access to a company’s website is important to customers. It can even influence their decision to buy from you. 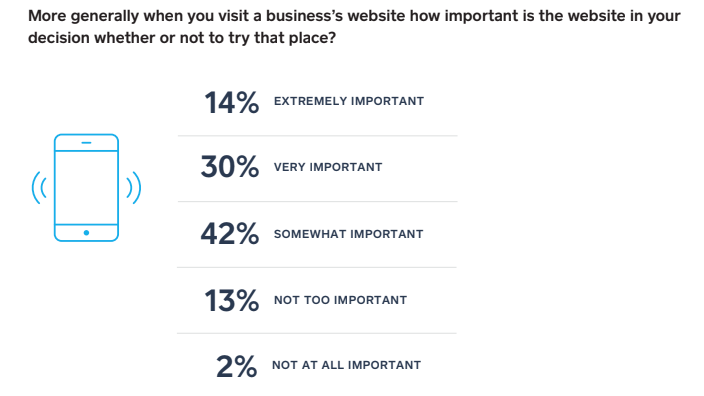 In our recent survey of US customers, 85% thought it was important for a business to have a quality website. That number increased to 91% among Gen Z and millennials. 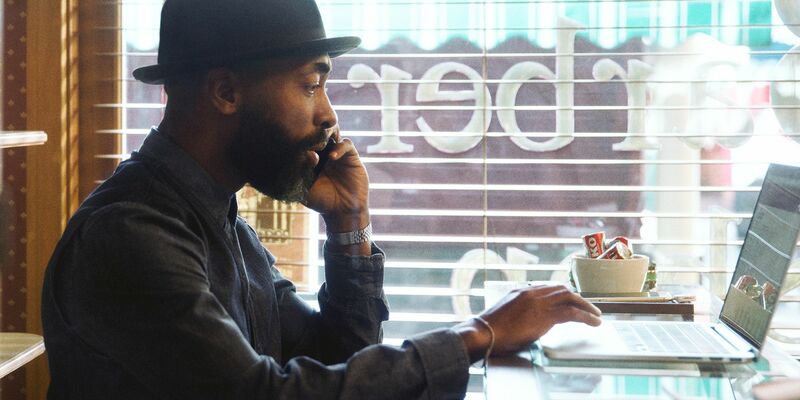 The survey, which asked 1,800 US customers how they discover, choose and recommend businesses, also found that 44% said a website was ‘very’ or ‘extremely’ important in their decision to try out a business. This begs the question: what should your website include to ensure potential customers give your business a shot? The information on your website makes a huge impact on potential customers — it says “We have what you want” or “We don’t”. The more detail you include, the greater the chance they’ll have a positive experience. The information you should definitely include and make visible includes items such as pricing information, menus of services or offerings, contact information and images of your products and staff. Incorrect or out of date information can look sloppy and create a lack of trust. Regularly update your website content so that it’s current, from service and menu offerings to pricing, contact information, hours of operation and directions. Customers feel great when you keep them in the loop. Your website should be easy to navigate — 27% of respondents in our survey valued ease of use. This means spending some quality time assessing its user experience. While visuals are important, they shouldn’t cause pages to load slowly or interrupt the flow of key information on pages. Consider the most essential content — the information your customers are going to be searching for in earnest — and make it easy to access. According to Deloitte, 91% of 16-75 year olds who own a smartphone in the UK use their device every single day. And 4 million sales are made globally via mobile daily. As a result, having a website built for mobile as well as desktop browsing is crucial. A ‘responsive’ website that works with whichever device it’s being accessed on is a great choice. SEO (search engine optimisation) is a method designed to help your website appear closer to the top of search engine results pages (SERPS) — namely, on Google. This makes it easier for potential customers to find you when they enter a relevant search or simply search for your business. Many SEO techniques can be implemented at no extra cost to your business, and you can even learn some tips direct from Square’s own SEO expert. A social media presence is an important aspect of your online strategy. Include links on your website to business accounts on Facebook, Twitter and Instagram. Customers love current news from the front line on social media, and it’s a great way to flag special offers and events.